Patagonia conjures up images of spectacular wilderness, remoteness and an almost mythical allure. But it sure is a long way away. 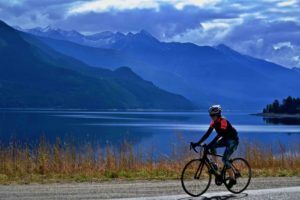 If you’re looking for a cycling tour that has the feel of Patagonia but is more accessible, British Columbia’s Kootenay region is the answer. Fjord-like lakes and mighty glaciers meet quiet waterfront and forested roads in this magical area just west of the Canadian Rockies. 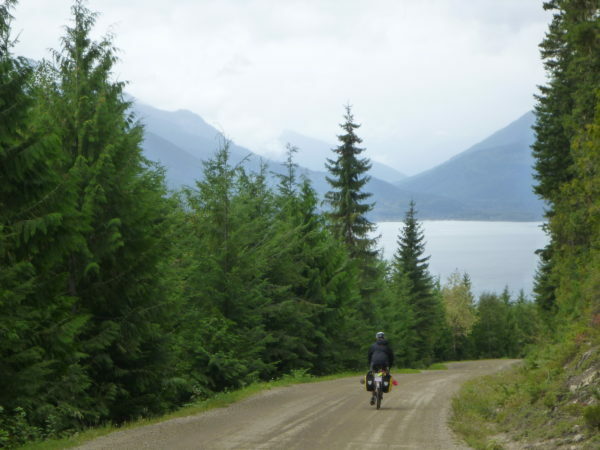 The 400km “Wild Kootenays” loop is surely one of the best (and least known) multi-day bike trips in Canada. With 3,500 metres (11,500 feet) of elevation gain, it offers just the right amount of challenge and reward for self-supported cycling tours. We recommend taking five or six days to savour the ride and experience the charming towns along the way. Nelson is an ideal starting and finishing point. The largest city in the region offers dozens of restaurants, a variety of lodging options, and a truly unique combination of culture and heritage in a gorgeous location. Kootenay Cycling Adventures, Gerick Cycle & Ski and Sacred Ride are all based out of Nelson and offer everything a cyclist needs. Riding counter-clockwise is the suggested direction, as you’ll almost always have the water on your side. 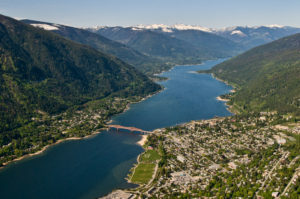 The first day of this bicycle tour brings you through the beautiful small town of Kaslo on the shores of Kootenay Lake. Don’t miss the brand new Angry Hen Brewing and freshly baked goodies next door at BlueBelle Bistro. The route continues north of the lake to Meadow Creek with Patagonia-esque views of the Purcell Mountains. Say goodbye to paved roads and hello to about 100km of excellent hard packed dirt roads ahead. Odds are you’ll have more than enough fingers and toes to count the vehicles on this rarely visited route to Trout Lake. Choose from rugged campsites (including one particular lakeside gem) or bed and breakfasts in Trout Lake. A small grocery store has basic supplies, while friendly locals in the tiny community add to the charm. The road transitions back to pavement west of Trout Lake, with mighty cedars lining your way towards Arrow Lake. From Trout Lake it’s a relatively easy day to Nakusp. Bend south on to route 23, the “Hot Springs Highway”. 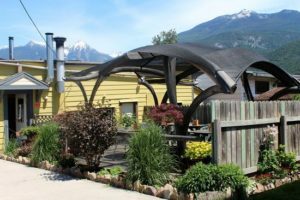 You’ll pass Halcyon Hot Springs resort and a couple of natural hot springs before arriving in Nakusp. Shon’s Bike and Ski is a great little spot for a tune up or snack, while there are some solid dining and accommodation options in town. The following day is one of the highlights of an already incredible bike trip. 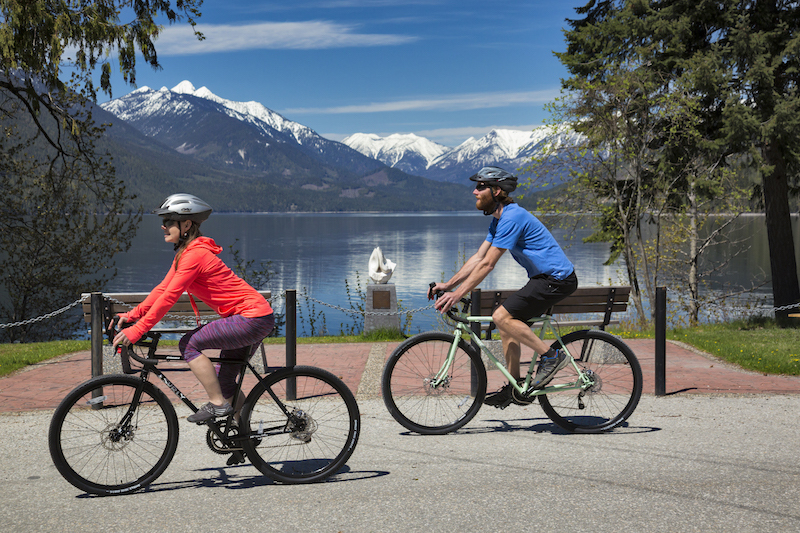 Choose from the Nakusp and Slocan Rail Trail or Route 6 south of Nakusp all the way to spectacular New Denver. Views of Summit Lake, Box Lake and Slocan Lake compete with the mighty Valhallas to the west. 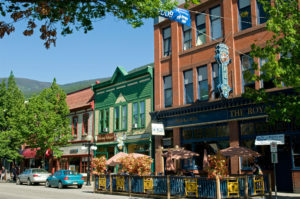 Choose from charming eateries and cozy accommodations in New Denver, Silverton and Slocan. 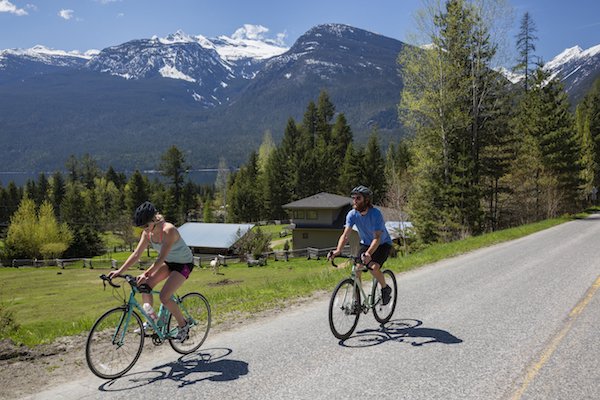 The final day of the loop winds through the Slocan Valley, offering the choice of quiet secondary roads, a main road, or the flat Slocan Valley Rail Trail. Great cafes along the way including Mama Sita’s and Fomi’s Bakery in Winlaw and Frog Peak Café in Crescent Junction welcome hungry cyclists. Load up because the final stretch through Blewett includes a short climb before a speedy descent into Nelson. Kootenay Cycling Adventures has everything you need to discover this little slice of paradise. In addition to our fleet of light touring Surly Straggler bicycles, we’re now offering the iconic Surly Long Haul Disc Truckers for more extensive cycling vacations like this. Load these beauties up with panniers, tents, sleeping bags and the whole kitchen sink, and you’re ready to roll. Full route map available here.